One of Russia's highest ranking spies and the powerful head of military intelligence has died “after a long and serious illness,” a Defense Ministry spokesperson told the news agency RIA Novosti. Gen. Col. Igor Korobov, the 63-year old head of Russia’s Military Intelligence Directorate (GRU), was reported dead early Thursday morning; currently there's no reports of foul play though officials did not reveal specific details or the circumstances of his death. Crucially Korobov had been dubbed by the West the "Novichok spymaster" — as the Russian GRU chief ultimately blamed for the Salisbury attack as well as the downing of MH17 over Ukraine in 2014, which the Kremlin in turn had blamed on pro-Kiev national forces. Korobov had for two years been under US sanctions, added by US Treasury in December 2016 related to allegations of Russian hacking and “efforts to undermine democracy”. Ironically, however, he was seen at times as a cooperative ally in Washington's "war on terror" efforts since 9/11. In one particular stunning and unprecedented case, he was still allowed to participate as part of a high level Russian intelligence delegation to the United States in February 2018 to meet with American intelligence officials to discuss counter-terror initiatives. He served in the Soviet and Russian armed forces since 1973, joining the USSR's military intelligence in 1985 and becoming Russia's GRU director in 2016. According to TASS, "in 2016 he was appointed by a presidential decree as the head of the Main Directorate of the General Staff of the Russian Armed Forces and Deputy Chief of General Staff of the Russian Armed Forces." Korobov had been ill since early October, when reports revealed he was severely reprimanded by President Putin himself over mishandling accusations surrounding the alleged Salisbury poison attack the West pinned on Russian intelligence. President Vladimir Putin personally gave a dressing down to the head of Russian spy agency GRU over 'deep incompetence' shown in the Salisbury poisonings and other international operations. 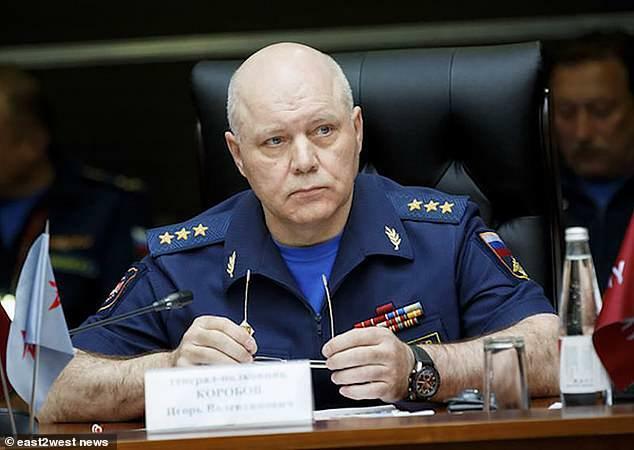 GRU chief Col-Gen Igor Korobov, 62, reportedly emerged shaken and in sudden 'ill health' after his confrontation with the furious Russian president. This detail alone means we could soon hear more to the story and circumstances surrounding his death, which the defense ministry has yet to be forthcoming about in terms of details or exact cause of death.